BTSCelebs is ready to dive into another Sarah Jakes’ book with heart. 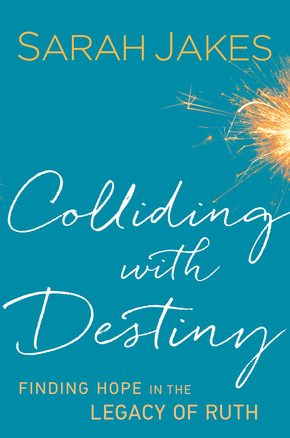 Today, I received Miss Jakes second release titled “Colliding With Destiny: Finding Hope In The Legacy of Ruth“. The hardcover book is beyond elegant with its blue satin cover and gold/white lettering. I can not wait to read about her take on the biblical story of Ruth and how it can transform lives. Keep your eye out for the complete book review soon. This entry was posted in Books, News, Reviews and tagged Colliding With Destiny, Sarah Jakes. Bookmark the permalink.